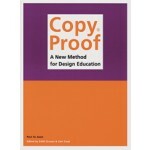 Copy Proof documents an innovative educational curriculum. For the last five years, Post-St. Joost, the graduate programme in graphic design at St. Joost Academy in Breda (NL), has worked to formulate strategies to resolve the ‘unteachability’ of design. The book presents the theory and the practice of a new kind of designing, geared to the demands of rapidly changing technology, new patterns in the exchange and communication of information and the changing needs of society. Designers are in the process of liberating themselves from specific objects, styles and media, focusing instead on the design method itself, on the design and creation of models. 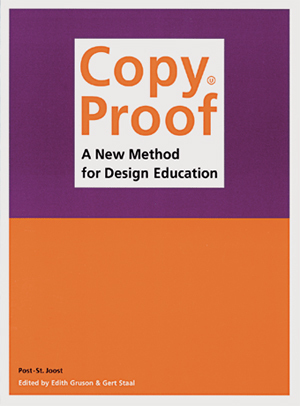 Introductory essays by Hugues Boekraad and Gert Staal examine the history and current practice of education in design, and five prominent Dutch authors (H.J.A. Hofland, A.J.A. van Zoest, Dirk van Weelden, Martin Reints, Pauline Terreehorst) analyse the final projects of ten Post-St. Joost designers, work which is also extensively illustrated.